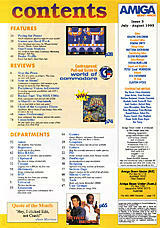 Formerly NZAmiga: Produced entirely on Amigas! Note Coverdisks were purchased separately at NZ$3.00 or A$2.50 per disk. Subscribers paid extra to get the coverdisks with the magazine. 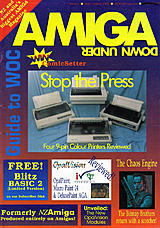 This was the first month the magazine was released as "Amiga Down Under" after changing it's name from "NZ Amiga".